India is an untapped demographic for most international beauty brands. Slowly but swiftly, many major beauty houses are understanding the importance of the large, sizeable beauty-loving community in India that could potentially generate additional millions of dollars in revenue. 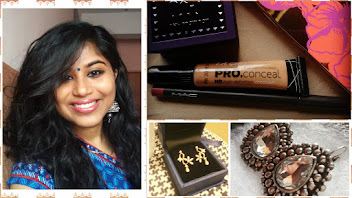 If you are a makeup enthusiast and love shopping from international websites, read through these important pointers. 80% of international websites accept Indian credit cards, a handful accepts debit cards, and few allow Paypal. Don't be fooled by the accepted exchange rate. If the day's exchange rate is 68 (INR-$), some banks may charge as high as 70 (INR-$). Always check your bank's transaction rate before shopping. Opt for Paypal if available as a payment option. There is a considerate difference in the exchange rates as compared to the banks. Also, they provide buyer protection and you can raise a dispute in case you haven't received your products or received damaged products. Most international websites use USPS (US) or Royal Mail (UK) for delivery. Read the transit time carefully, it will be mostly under the FAQ page of the website. USPS usually takes an average of 20 days to deliver your package. USPS hands over the package to Indian Postal office for delivery and service here in India, so have your local mail man's phone number handy. In case you haven't received your package within the stipulated time, contact the customer service immediately. Also, get in touch with the Nodal Postal office in your city. Most international baggage sorting facility will be in the Nodal office. As far as FedEx, DHL, and other private carriers are concerned, you have nothing to worry about except customs. They will contact you throughout the import process and you most certainly can track your package. Be prepared with your KYC (Know your Customer) customs clearance documents (mostly 2 ID proofs, and address proofs) if you are a first-time international shopper. Customs duty on cosmetics is almost 37% (cosmetics is classified under unassisted baggage). 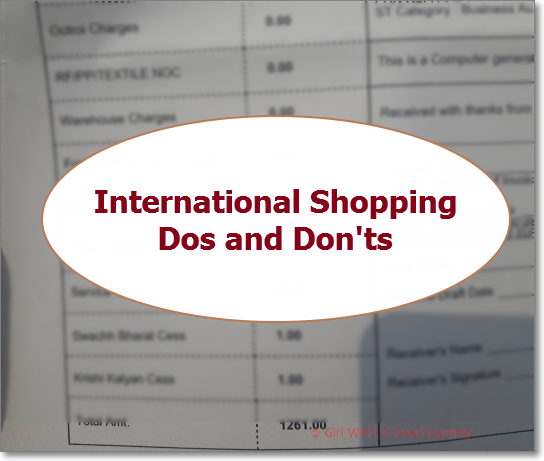 If you are charged customs then you will have to pay additional cash which in turn can make your international shopping experience a big bust. Keep your order below $50 to avoid unnecessary Customs duty. Priority packages go through customs checking more than USPS. Some companies devalue the goods or mark items as 'Gift' to escape customs duty. Though not a fool proof method, if caught you will have to shell out double the duty. Customs randomly selects the package to inspect if the items are shipped via USPS. All items shipped through FedEx and DHL mandatorily goes through customs clearance. So basically, customs duty depends on your luck. Contact your Customs office through their social media handle. Cochin Customs is quite active on Facebook and are quick to reply to any queries. If you are unhappy with the service provided by Customs or have any items missing, send an email to the Commissioner of Customs (Google the email details for your area). Though there is no guarantee for a prompt reply, you can expect some reply. Waiting for your package is the most excruciating process of the whole shopping experience. Transit times can vary from a week (USPS: Makeupgeek) to 20 days (BeautyBay) to 1 month (BeautyJoint). If you haven't received your items within the stipulated time, it's time to contact Customer Service. Read the Return/Refund policy carefully. Some companies will happily offer refund or free replacements for missing packages, some are little hard to crack through. BeautyBay/BH Cosmetics offers replacement on missing packages. Be persistent, and push for refunds. Don't give up if you haven't received a reply to your email to Customer Service. If you have used Paypal for payment, raise a dispute. Contact the companies via their social media handles, Instagram, Twitter etc. Most are quick to respond through social media. If you guys have some shopping tricks and tips, share down in the comments section. Also could u pls tell the diff btwn direct shipping n shipoutofusa? Which one saves us time n money? Direct shipping there is no guarantee that the item will reach you (lost in transit) but shipoutfromusa takes CRE of everything from customs to making sure the package reaches you on time. Shipoutfromusa can be costly, considering shipping and customs and may not be worth a hassle for shipping 1 or 2 items. Your local postman will come with a customs duty slip. You will have to pay accordingly. Or you will be asked to contact your nearest customs office for clearing your package.